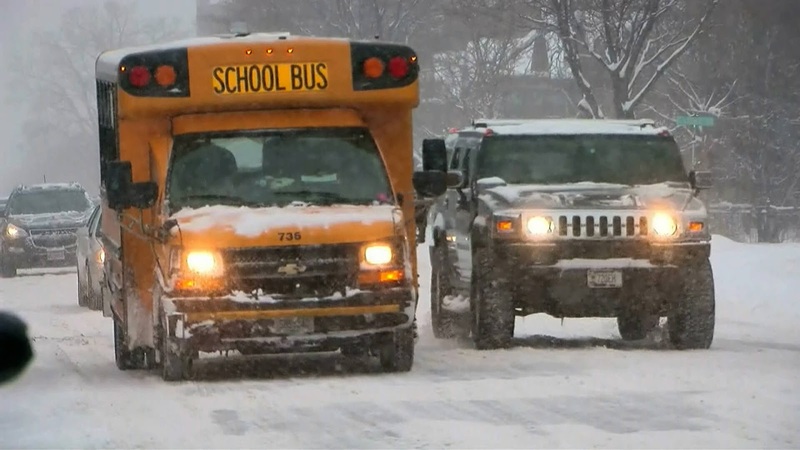 MINNEAPOLIS (WCCO) – Minneapolis and St. Paul state-funded schools dropped classes Thursday as a possibly notable April snowstorm keeps on twirling over Minnesota. Different regions in the metro –, for example, Anoka-Hennepin, Osseo Area Schools, Edina Public Schools, and Wayzata Public Schools – have additionally canceled classes. While the heaviest snow has likely quit falling in the metro, solid breezes are blowing snow, significantly decreasing permeability. Also, streets are built up with snow, and travel isn't instructed in certain territories regarding southern Minnesota. Meteorologist Matt Brickman state that as temperatures rise Thursday, the tempest framework will drop slush and solidifying precipitation on southern Minnesota.